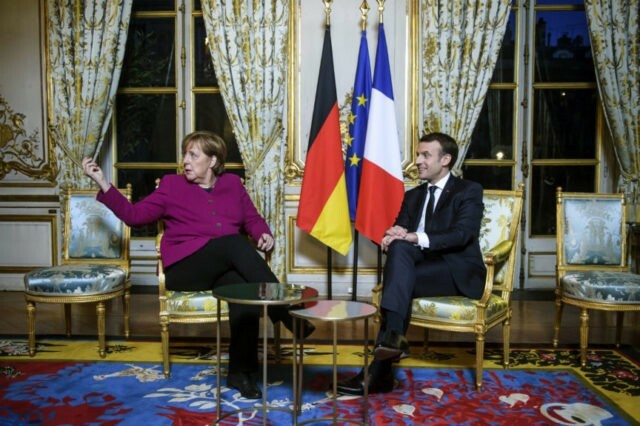 PARIS (AP) — French President Emmanuel Macron and German Chancellor Angela Merkel have pledged to agree on a new French-German treaty this year to deepen cooperation between the two countries. In a joint statement Sunday, both leaders say they will seek closer economic ties and convergence on tax issues. The statement was timed to commemorate 55 years since the signing of the 1963 Elysee friendship treaty, which marked the reconciliation between France and Germany after World War II. The leaders also pledged to improve cooperation in education and research and to develop joint proposals for climate protection.